We offer a wide range of solutions to develop high-performing people, teams, and organizations. Core values are more than just words; they express our deepest beliefs and guide our behavior. We honor God, creation, and commitments. We serve others both in our personal and professional lives. We see value in living with discipline. Core purpose is what drives us each and every day; to develop high-performing people, teams, and organizations. Pro-Motion Consulting was founded in 2008 by Phil Harwood after retiring from a successful management career. We have continually strived to deliver innovative solutions to better serve our clients. Our Virtual Consulting Services platform was launched in 2019 in response to great demand for cost-effective remote consulting services. 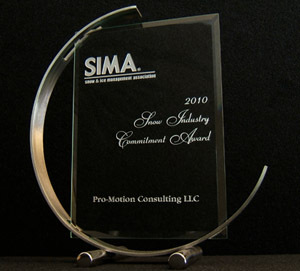 Pro-Motion Consulting has twice (2017, 2010) been the recipient of the Snow Industry Commitment Award, presented by the Snow & Ice Management Association (SIMA), in recognition of outstanding commitment to the snow & ice management industry. We are affiliated with GrowTheBench.com, your essential solution for online professional education and development.